How do you fundamentally change your momentum? Is it innovation? Is it expanding into new markets? Is it charismatic leadership? How do you kick the curve? 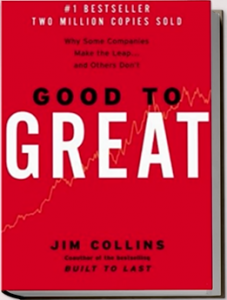 That’s the question Jim Collins answers in his second book, ‘Good to Great’, and what I want to talk to you about today. In his book, Jim Collins explains how businesses change their momentum. Over the course of 15 years, he looked at businesses that had achieved adequate market success. Then they had a clear transition, and then they kicked the curve – meaning they went to three times market for the entire 15 years. Want to know what they did? It didn’t come down to charisma but rather, great leadership. The first bucket of activity that these companies all went through in their transition was creating (or finding) disciplined people. This meant two things. 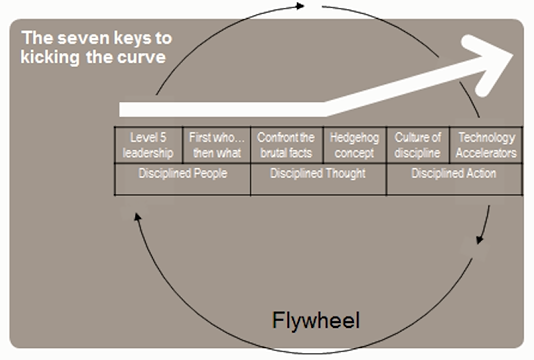 The first is what Collins calls, ‘Level Five Leadership’. This isn’t the charismatic leader; it’s somebody who creates leaders. The second is getting the right people on the bus, and the wrong people off the bus. 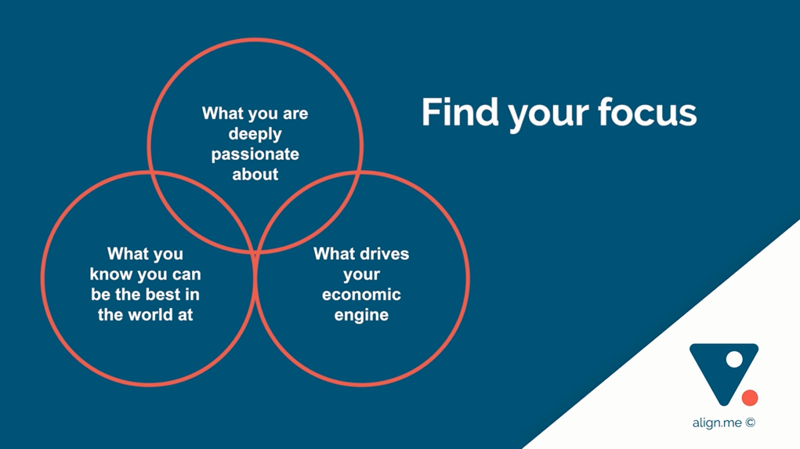 Essentially, you need to focus on something that sits at the intersection of these three questions. So far, we have disciplined people who think in a disciplined way – only then, can we have disciplined action. Again, this comes down to two things. The first is creating a culture of discipline. The second is using technology – not to create momentum, but to accelerate it. The final piece is what Collins calls, ‘momentum’ – creating something for the business some kind of unstoppable flywheel momentum. In sales and marketing, I believe it isn’t so much about seeking momentum, it’s more about seeking rhythm. This means touching your market consistently enough (that’s the rhythm) so that you can create momentum. Where do you find the focus? But if you only had one card to play out of all of this, it would be focus. We believe focus is the problem you solve for the market. What problem are you collectively deeply passionate about? What problem do you genuinely believe you can become the best in the world at solving? 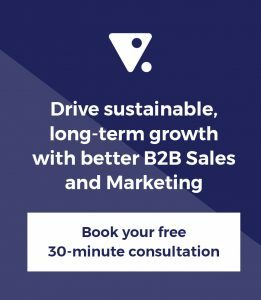 What problem drives your profit engine? You need to find that together and that’s the job of the Funnel Plan. Get Sales, Marketing, Finance, and Operations together and agree what that problem is. Then identify the strategy implied by that. 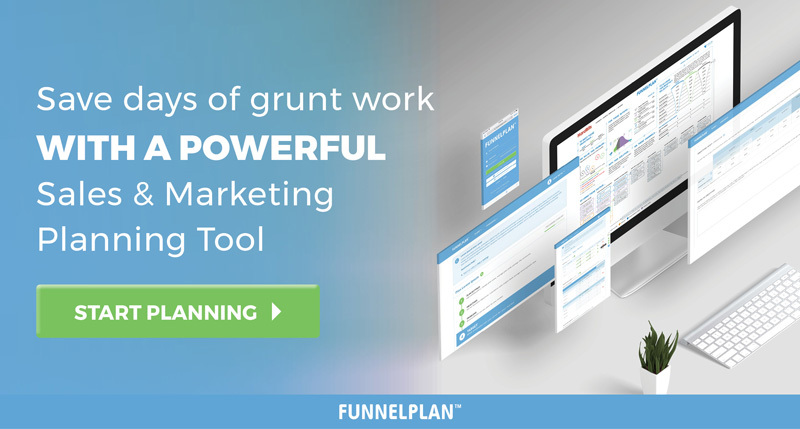 If you have a Funnel Plan already, you know what I’m talking about. If you don’t, go to Funnelplan.com.